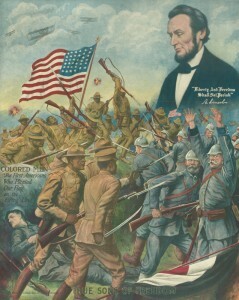 Poster True Sons of Freedom Chicago, 1918. © Library of Congress. Practiced after the Civil War mainly in the southern United States, racial segregation, was enforced by the “Jim Crow Laws” that mandated the segregation of public transportation, public schools, public places of worship, etc. It was on this basis that many politicians were opposed to military training of African Americans. Although African Americans were drafted on the same basis as whites, the 380,000 coloured men who served in the U.S. Army were all assigned to segregated units. 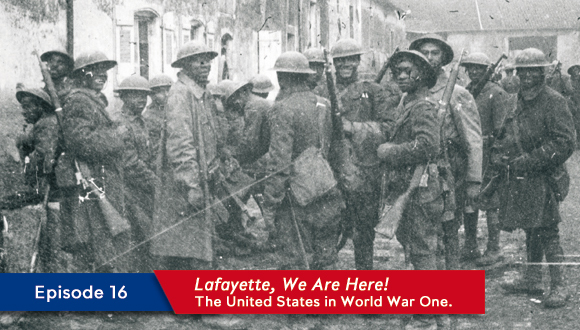 Over 200 000 of them served in the A.E.F., in special units such as the 92nd end 93rd Infantry Divisions. The four regiments of the 93rd Infantry Division served under French command in French units while the rest handled unskilled tasks as stevedores in the ports. The 93rd Infantry Division was a “coloured” segregated unit of the United States Army activated in 1917 and composed of two brigades made up African Americans and Porto Ricans. 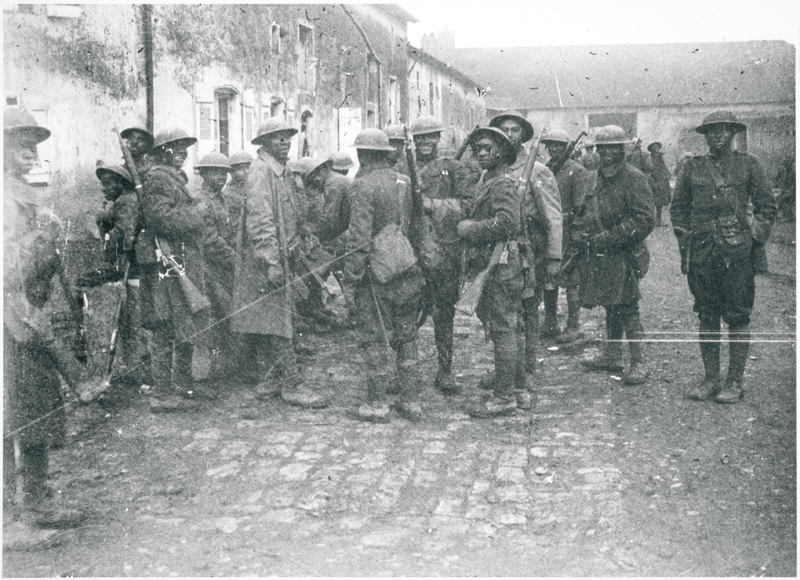 The famous 369th Infantry Regiment of the 185th Brigade became known as “The Harlem Hellfighters”. The Harlem Hellfighters were dressed in the uniform of the U.S. Army but wore the French Adrian helmet and were equipped with French weapons. 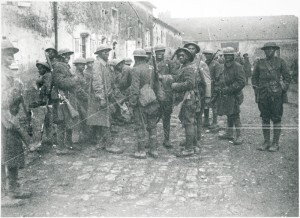 Many of them distinguished themselves in action for “brave and bitter fighting” and were awarded the Croix de Guerre. These soldiers were greatly appreciated by the French for their musical talents; most of all their jazz music which they helped to disseminate in France. When James Reese disembarked at the port of Brest, the famous composer, pianist and conductor played the a jazz version of “La Marseillaise” which not immediately identified by the French as their national anthem because of the syncopated beat of ragtime rhythm. 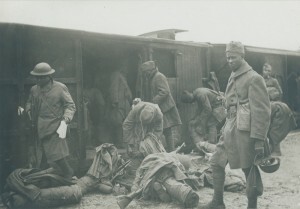 As the French authorities understood the vital importance of concert parties in maintaining troop morale the Harlem Fighters were invited to play in hospitals, cities and villages..